Dr. Thoreson’s laboratory focuses on basic mechanisms of visual information processing by the retina and particularly how rod and cone photoreceptors transmit visual information to second-order retinal neurons known as horizontal and bipolar cells. 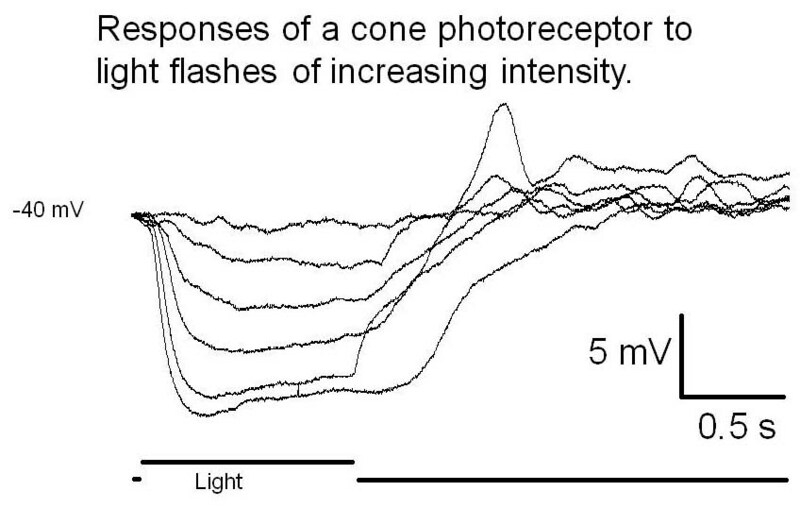 Rods and cones differ from many other nerve cells in that they do not produce sodium-dependent action potentials but instead respond to light with graded changes in membrane potential. These light-evoked voltage changes modulate calcium influx through L-type (dihydropyridine-sensitive) calcium channels that in turn control release of the neurotransmitter, glutamate, from photoreceptor terminals. Release of glutamate-filled synaptic vesicles from photoreceptor terminals involves plate-like protein structures known as synaptic ribbons. 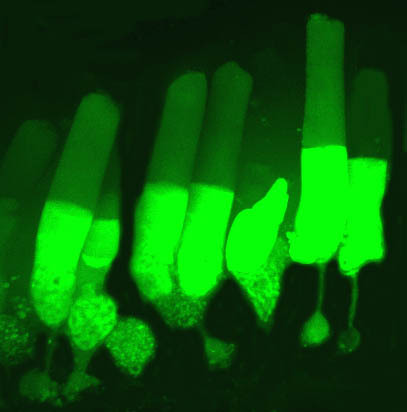 To study neurotransmission in the retina, we employ a variety of different electrophysiological and imaging techniques. 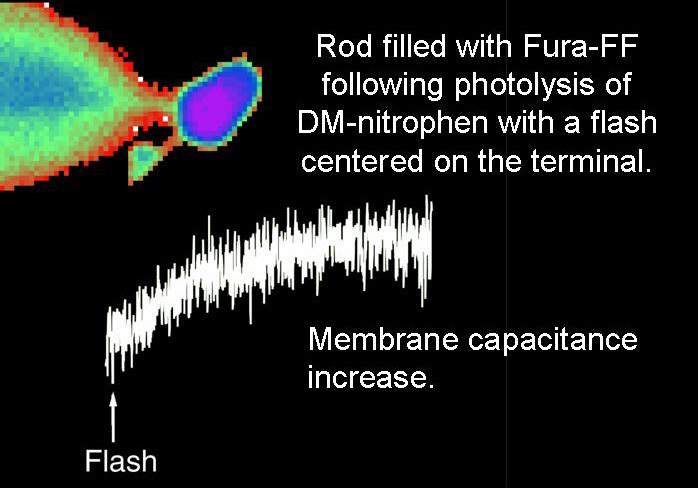 Electrophysiological studies involve single channel, perforated patch whole cell, ruptured patch whole cell, capacitance measurement of exocytosis, flash photolysis of caged calcium compounds, and simultaneous paired whole cell recordings (e.g., rod-horizontal cell or cone-bipolar cell pairs) from photoreceptors and second order neurons. Preparations include retinal slices as well as acute and cultured solitary cells from both amphibian and mammalian retina. 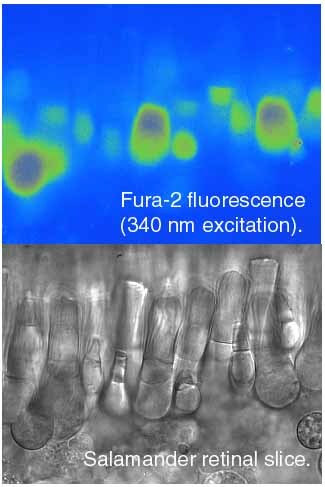 Imaging experiments include use of ion-sensitive dyes such as the calcium-sensitive dyes Fluo-4 and Fura-2 or the chloride-sensitive dye MEQ. 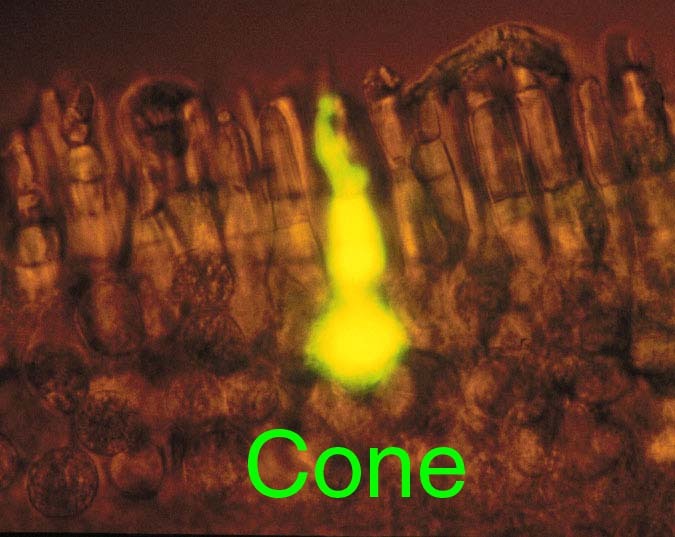 Using spinning disk confocal microscopy with calcium-sensitive dyes such as Oregon Green BAPTA 6F or 5N, we observe clusters of calcium channels near the synaptic ribbon in the terminals of both cones and rods (Jackman et al., 2009; Mercer and Thoreson, 2011). 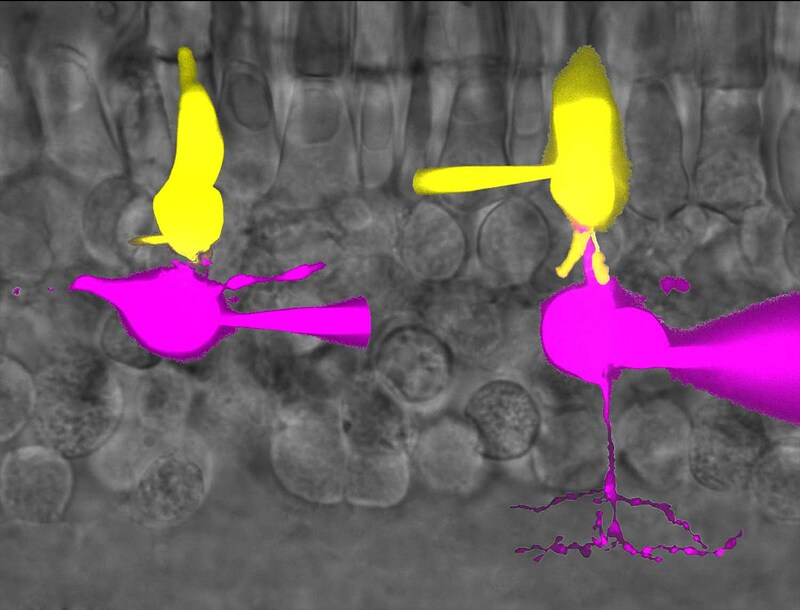 In rods, following an initial localized influx, calcium then spreads throughout the synaptic terminal due to calcium-induced calcium release from intracellular stores shown here. (Cadetti et al., 2006; Babai et al., 2010a). 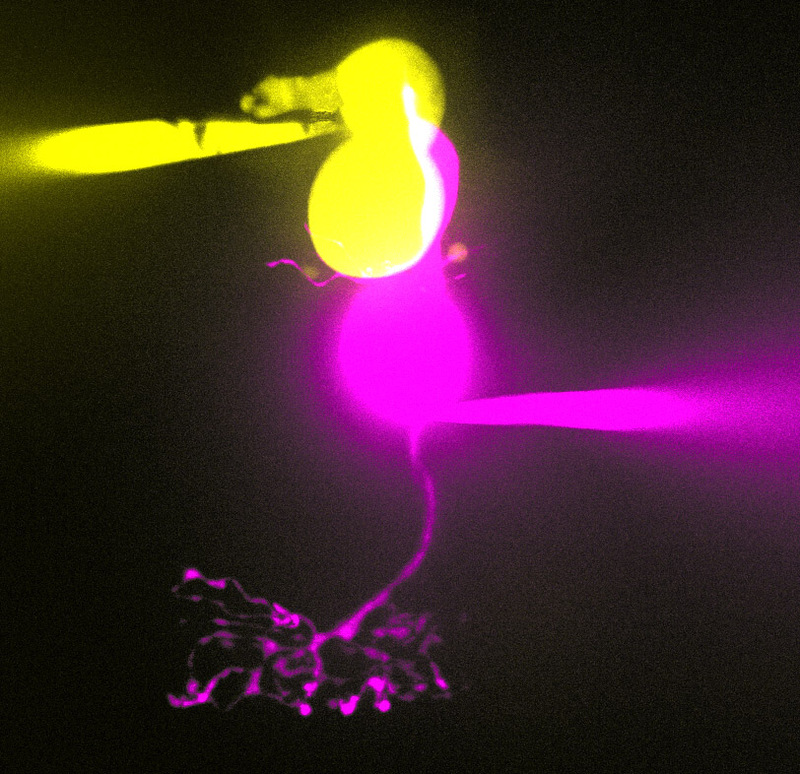 We also study individual synaptic vesicle fusion events using total internal reflectance microscopy (Chen et al., 2013). An example video showing vesicle fusion events is shown here. 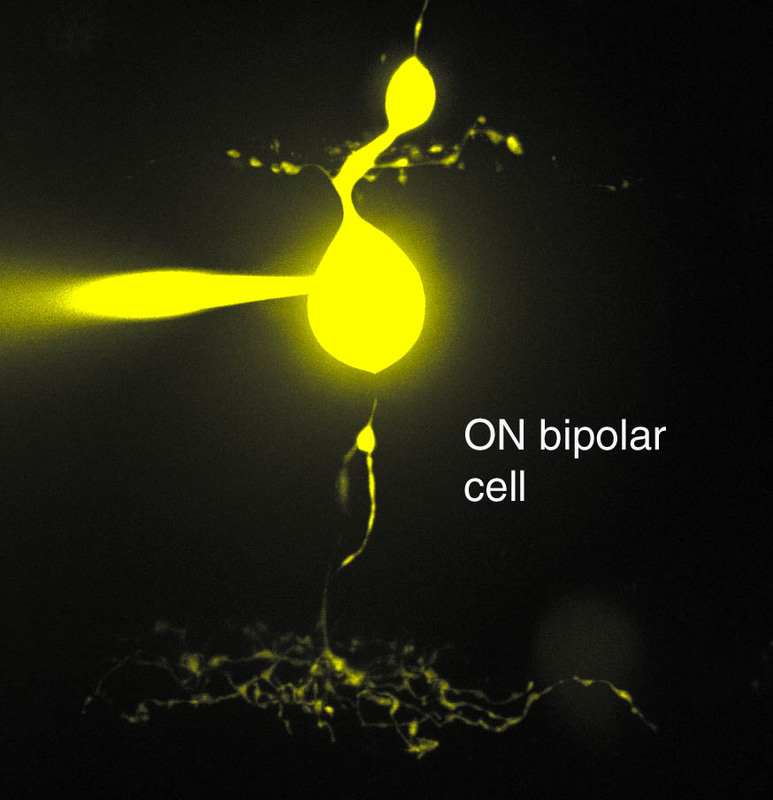 In this video, one can see individual synaptic vesicles in a rod terminal (filled with dextran-conjugated pHrodo) appear as they approach the membrane (entering the thin region of illumination near the coverglass). 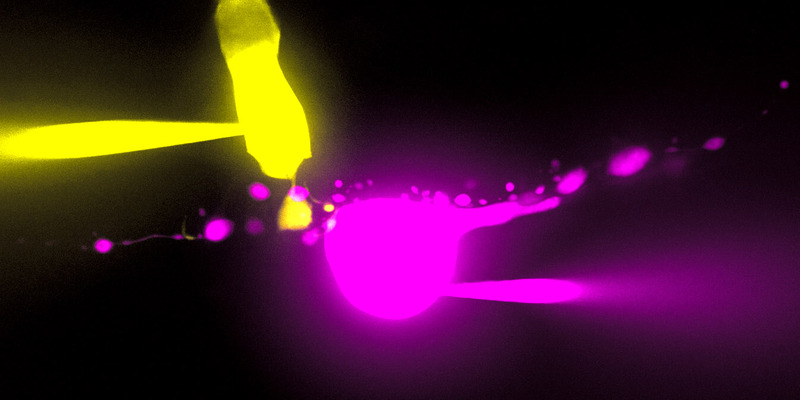 Vesicles then abruptly disappear as they fuse and release the dye. 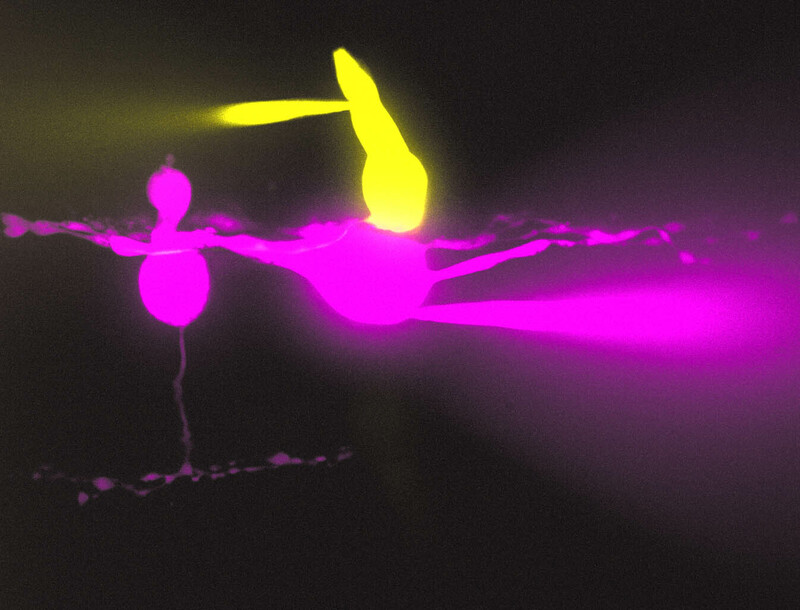 In other studies, we observe lateral membrane movements of individual calcium channels labeled with brightly fluorescent quantum dots (Mercer et al., 2011; Thoreson et al., 2013). 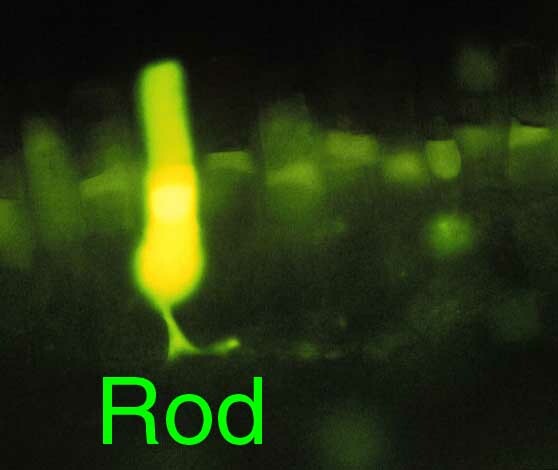 This video shows an individual calcium channel moving about in the photoreceptor terminal membrane. 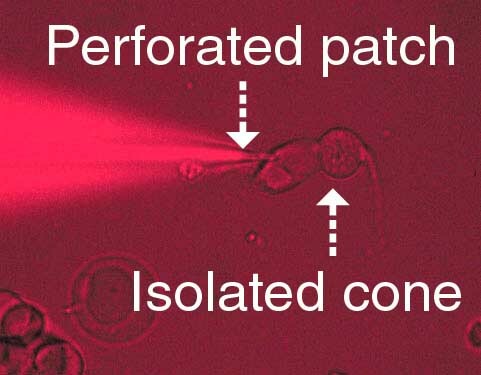 In this experiment, membrane cholesterol was depleted by methyl-beta-cyclodextran to increase the surface area within which channels move (Mercer et al., 2012).